Please be informed that our offices will be closed on Tuesday, 01 May, 2018 for celebrating public holiday - International Labor Day. 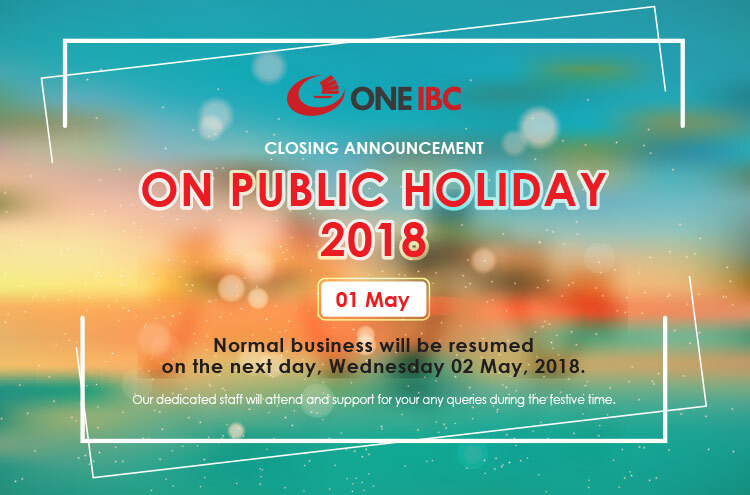 Normal business will be resumed on the next day, Wednesday, 02 May, 2018. Our dedicated staff will attend and support for your any queries during the festive time. Wish you a wonderful and memorizing holiday! Thank you for your regardings this announcement.